We are the Aperture, the House of Visionaries and False Deniers. Our masks dilate depending on the directions of the ‘morrow’s breath, the currents that bear our prophet’s words [MAY THEY BLESS THE GREAT HLAATHOOM, WHO GRANTED US THIS BEAUTIFUL SIGHT]. We disavow the Wings of Mourning, for their fluttering harmonies have gone out of tune. Hear how the proud horns of the Crab have broken the Walls of our Hearth. In the House of Cynics, self-proclaimed mystics seek an irresistable light, only to be blinded by their inward voices. And what of the House of Upholders, who keep dying traditions by bearing false faces? Without our Eyes, they cannot see the truths they have been blinded to, nor the follies they have indulged themselves in. Slowly, we must open the gate for them to see past the Rock of Lies, whose tricks have perpetually attenuated the songs that were meant for our ears. Behind our masks are those that build the Prophet’s dream. In time, his true Children shall mend the Star-Wounded East, and polish the jewels that hang on her gilded crown, so that His Endeavour may shine for all to see. The Hlaalu's specific Tribune is Almalexia. The subtleties of economics do not matter a great deal in the design of video game worlds, but one thing should be understood about the Hlaalu ideology: it is not capitalism. The Hlaalu ideology has much more in common with mercantilism. The Hlaalu seek to profit themselves, the house, and Morrowind through economic activity. They are generally unscrupulous. They use force to set up house-enforced monopolies and economic regimes. The Hlaalu value personal self-sufficiency & autonomy, ingenuity & entrepreneurship, and cunning. They are playing a game that is bigger and more self-conscious than any other Dunmer. They have no objection to lying, in general. Hlaalu society is a society of disguises in which things are frequently not as they seem. An open port full of commerce is run by cheating, chauvinistic tongs. A small publican's hides a Twin Lamps safehouse in its basement. A shipping magnate carries a fortune in skoom in the hull of his boats. And most importantly, the Hlaalu elite carry a secret which will only be known to the player if they advance far in the Hlaalu questline. Like all the Great Houses, Hlaalu is political machine, acting as a patronage system and governance structure in areas it controls. Most Hlaalu members are independent merchants, yeomen, and artisans who are in business for themselves. Their connection to the house gives them a competitive advantage, connecting them with other traders, protecting them from thieves and contract violators, and so on. The most successful of these sort of traders can be recognizes as House Peers, the Hlaalu social elite. The Hlaalu become independently wealthy through a variety of activities. Primary agricultural crops in Hlaalu areas are comberry, hackle-lo, wickwheat, meadow rye & or scrib cabbage. Comberry is the most major of these, and its primary use is to ferment it into alcohol at breweries. The Hlaalu also farm kwama eggs, a main Morrowind food stable, in cavernous mines, and mine valuable earth stones and metals from around Morrowind, especially ebony and volcanic glass. In addition, some Hlaalu make much money as merchants, traders, or crafstman in the Hlaalu cities. The core of the house is the Hlaalu Council Company, which acts as the central administrative organ. The Company does not itself participate in any productive industry. It earns money by controlling the avenues of trade in Hlaalu territory. It controls border passes at Kragenmoor & Shadowgate (west of Narsis), allowing it to charge tariffs on all products which pass in and out of Morrowind (at favorable rates to Hlaalu merchants, of course), and was historically the sole importer of slaves from the West (not including slaves from Argonia). It also controls a great deal of the internal freight infrastructure, including the ports at which it charged tolls for docking as well caravansarai at key stopping points along land routes. The Company is, by Hlaalu law, the only entity allowed to charge interest on loans, making it in practice the only major lender. Almost all land in Hlaalu territory that is not an Imperial grant belongs to the Company, and it leases that land to independent merchants to cultivate. This Company does not have a unitary will. Conflict within House Hlaalu is over control of the Hlaalu Council Company. One of the most powerful and organized factions in House Hlaalu is the Camonna Tong, a fraternal order of Hlaalu working to undermine the Empire. These sub- factions function as unions within the larger Hlaalu corporate structure, competing for influence over the House in general. The heads of these factions have varying perspectives on how to execute Hlaalu's main project. After the Anunciation of the Tribunal, while House Redoran set about to rebuilding the borders and House Indoril set about to generating the theological and juridicial governance of Morrowind, many of the other houses set about to actually rebuilding Resdayn, after decades of war, the disappearance of a large & economically important minority of the population (the Dwemer), and the ecological damages of the erruption of Red Mountain. Foremost among those who took up mundane matters of rebuilding were the houses of the Othreleth Woods & the upper Thirr, including such houses as Hlaalu & Narsuaes. These houses were also able to sustain their independence when the bulldozer that was modern House Indoril began absorbing other houses into its mass. Their competitive advantage was their connection to trade with Cyrodiil and beyond, including the import of Khajiit slaves traded to them by catcatchers, rivergoing nedes who harassed the shores of Ne Quin-al during the degenerate periods of the First Empire. These houses, less committed to the theosophic & theocratic bent that the Indoril took, had vague notions of separate realms for the temple and the house, while still being devoted to the Tribunal. In their perception, the Tribunes were Nerevar's successors in matters of faith, while the houses were Nerevar's successors in matters of everday life. and can adapt well to different situations. Their organization is substantial and intertwined. By the Second Era, these houses had coalesced under the leadership of Hlaalu, and were recognized in Dunmer social theology as one of the Great Houses, a worldview that has been anachronisticly stretched back to the days of the Chimer. They took on the role of mediating trade with the outside world, and so long as Morrowind was fully independent, they were widely regarded as the least significant house. However, with the Armistice, which recognized Morrowind's sovereignty while creating a role for the Empire in its governance, the Hlaalu's opportunities for power greatly expanded. In narratives of the Indoril, Dres, & Redoran, the Hlaalu have come to be seen as traitors for their relationship with the Empire, including aspersions on their role in the period leading up to the Armistice. In about 3E 425, political maneuvering led to the replacement of the Chancellor of House Hlaalu. Previously, this position had always been held by members of the personal Hlaalu family, a status that no other Great House had maintained. The new leader, a self-made woman, is visionary, brilliant, and cutthroat, and is playing the other actors of Morrowind like chumps for the betterment of herself & her house. Another recent development is an Imperial ban on inter-province slave trade, and the trade of slaves over “Imperial waters,” which includes the Inner Sea. This has halted the flow of slaves into the province from the West & also had a prohibitive impact on slavery in the new Vvardenfell colonies. The Hlaalu perceive in their work a secret mission, and they are the furthest thing from traitors to the Dunmer. They are the last defense of the Dunmer against their enemies, fervent nationalists who only pretend to do the bidding of the Empire. Every member of the Hlaalu council, much of the House Peerage, and many of the officers of the Council Company are part of a secret conspiracy to defend Morrowind to the last, not even known to the leaders of the other houses. Their traitorous actions during the war with Septim was the enactment of a secret plan to ensure the Armistice would occur, because they like the Tribunal saw that Morrowind could not stand militarily. In the present, they take over territory, place one of their own on the throne of Morrowind, engage in trade with the Empire, et cetera, so that when the Tribunal end their reign, Hlaalu can guide Morrowind into the future. They are aware of the weakness of the Empire, and they are ready to pounce on any opportunity provided by its decline. Hlaalu has little loyalty the present form of the Dunmer society; social structures can be fleeting. But their loyalty above all is to the Velothi project, to the Dunmer people, with or without the houses and the Tribunal. Slaves, like in many parts of Morrowind, form the lowest rung of Morrowind's society. Many do not even consider them part of society, and see them solely as beasts. They are most often found in the countryside, toiling the fields of large plantation-estates and farms. In large settlements Hlaalu slaves are often kept out-of-sight as an appeasement to the Empire and sympathizers. The transport of slaves over Imperial waters is illegal, and as such, the Hlaalu rely on the Comonna Tong's extensive smuggling network to bypass this. Slaves are often found in smuggling dens around the Thirr, Othreleth, and Ascadian & Bitter Coasts. Elsewhere in the country, they are seen in the open, as many openly flout Imperial law. Commoners in Hlaalu tend to come from all walks from life. Unlike the Indoril in which commoners and peasants live in serfdom, in Hlaalu lands, the Velothi have been directly absorbed into Hlaalu's patronage system, while outlanders are plentiful in the large trade cities. Outside the cities, they often serve as tenured workers on plantations, large farms, and trade ports. They can also be independent farmers outside Hlaalu patronage. In large cities, many commoners can be seen as independent merchants and tradespersons, though they do not benefit from the competitive edge of being assosciated with House Hlaalu. They can also be independent contractors and guildspeople that do business with the house on a tenuredbasis. Most of these tend to be outlanders, and westernized Dunmer. Some nobility also incorporate indentured servants (wage slaves) in their workforces, mostly in urban centers where slavery is seen as taboo by the Imperials. The Hlaalu themselves (excluding nobility) are generally split into three major categories:retainers, tradespeople, and Company Agents. Much about their character has already been mentioned above. They are subtle and nuanced in their internal dealings, but are open-minded and can adapt well to different situations. Their organization is substantial and intertwined. Retainers are simply those who have sworn an oath to serve House Hlaalu, yet do not have a particular trade. They serve as guards, mercenaries, and Tong Enforcers, and occupy other practical roles that are generally considered risky for typical Hlaalu. They usually operate at an arms' length from the upper ranks of Hlaalu. Tradespeople form the bulk of Hlaalu society, Individual merchants and artisans who are financially independent and self-sustaining. In the large cities, they often are found running large shops and businesses, while outside the city, they often run small farms and plantations. They form the lynchpin of Morrowind's economy and trade, and the most successful of these end up in Hlaalu's elite. Agents are those who work directly for the Hlaalu Council Company. 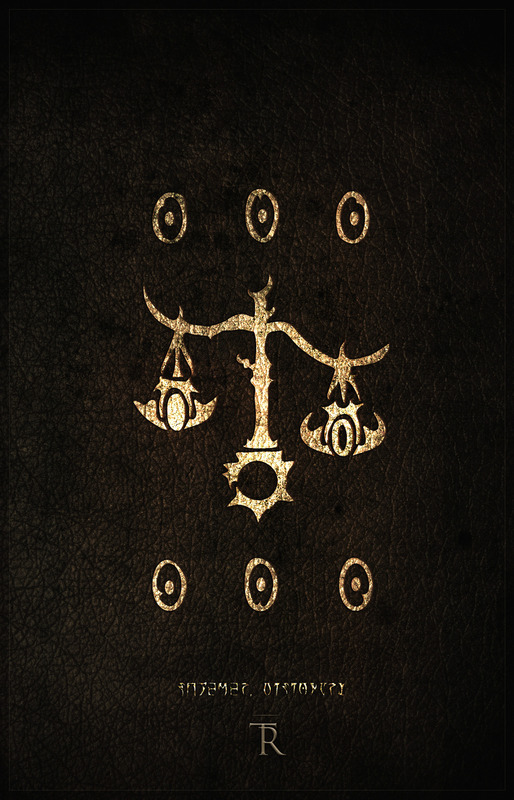 Bonded agents and House Officers who maintain the general day-to-day affairs of the Company, often as stewards, bankers, lenders, and clerks working directly for the Hlaalu nobility, or in some cases are members of peerage themselves. They are often left in charge of ports and infrastructure. Many still operate their own successful enterprises alongside their Company duties, though naturally this presents a conflict of interest. A select few outside nobility are in the Conspiracy. Entering nobility in House Hlaalu is not necessarily hereditary. In fact, much of Hlaalu peerage is comprised of self-made individuals who have risen to be the most powerful enterpreneurs in Morrowind. The highest echelons of Hlaalu nobility form the executive of the Council Company, and wield tremendous power in economic, political, and trade affairs, often dictating terms to other, lesser merchants and tradesfolk, and amassing substantial wealth from collecting tarriffs, dues, and interest on goods and services tendered. Many live in the ancient clanstead of Narsis, while a few others have holdings in large plantation-estates. Some also have country manors and retreats. A few of the older families are in on the conspiracy, though much of Hlaalu's nobility is still kept in the dark. The settlement spaces of House Hlaalu can be divided into three categories: major trade cities, plantation-estates, and small townships/trade-ports. Other Hlaalu structures such as individual manors, houses, and guard towers are also common in large agricultural areas. Hlaalu's major settlements are usually large cities centered around trade and industry, often with large public spaces and holdings of private enterprise. They often have council clubs and various guildhalls for players looking for work. Broad boulevards and streets form the central arteries, and are relatively easy to nagivate, containing the majority of the settlement's businesses and guildhalls. Upscale Manor districts are usually also found to house the dwellings of Hlaalu officials and structures related to the local administration. Side streets and back alleys behind structures are sometimes labyrinthian and harbour a seedier side of Hlaalu society. Some may even be dangerous for the player. Plantation-estates are often found in the countryside and are usually owned by members of the Hlaalu peerage. The largest of these estates usually are owned by Council-Electors of the Hlaalu Council Company, and usually contain auxillary structures for plantation workers and slaves. The largest of these estates should have some self-sufficiency. Smaller towns and villages in Hlaalu territory are numerous and often consitute local trade nodes, or ports. These usually only consist of a few structures which house local workers and tradesmer. Some also contain auxillary housing for those in charge of these settlement spaces. Narsis: Narsis is the ancient clanstead of House Hlaalu. Prior to the creation of the house, Narsis was already an important outpost in which the Hlaalu family maintained trade relations with outsiders. Over the years it has grown to be one of the largest and most powerful cities in Morrowind. It is a large city, deserving of its' own section and documents. Kragen Mar: Once a Redoran outpost, Kragen Mar is a large trade town on the border with Cyrodiil. It is the nexus of crossborder trade in Morrowind. Control over the lucrative trade in Colovian goods is a key aspect of the city's intrigue, and there are many shops and guilds that compete over the production of goods and services. It has the second-largest population of outlanders in the entire province. Andothren: Andothren is a mid-sized port town on the Inner Sea. It was once a Velothi settlement, before being sacked and rebuilt as the city of Andothren. Some outlanders refer to the city as “Stonefalls”, though that name has fallen out of favour in recent years, even amongst outsiders. It's location and proximity to Vvardenfell make its' location strategically important, for goods coming in and out of Vvardenfell, as well as an important port for agricultural goods coming up from Southern Morrowind. In-game, it fills the role Balmora previously had as the player's “first city”. Balmora: Balmora is one of House Hlaalu's newest settlements, their first holding in Vvardenfell. As such, it is largely beyond the control of Hlaalu's central leadership, and is instead a haven for enterprising tradesmer looking to seek a fortune from Vvardenfell's untapped riches. Head of the Hlaalu Council Company & leader of the House in general. Sit on the Hlaalu Council. * denotes knowledge of secret. The peers are the highest rank of House Hlaalu, nobles essentially. A –secret– rank, with –secret– knowledge. Bonded to the Company, a permanent part of the bureaucratic structure of the Hlaalu. A contractor for the House Hlaalu Council Company. A House Hlaalu member who has taken up a trade for themselves & is financial independent. An initiated member of House Hlaalu. Taken an oath to serve House Hlaalu exclusively. Joining House Hlaalu should generally be considered an early-game affair, perhaps intersecting with an aspect of the main quest. It should involve doing a series of small tasks for Tholer Andas' steward in Andothren. The player should eventually have enough capital in which they are asked to partake in a particular trade, and join the House proper. A potential angle of the questline could be the early House War with Indoril, but more importantly an ideological and moral conflict between personal wealth and the greater good, the player choosing either or. The details are yet to be worked on, and are generally unimportant for this document.